After countless years of bitching about how I never get nominated for any awards because I don’t do anything… I got nominated! 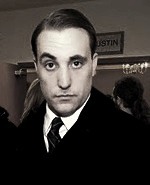 Specifically for the Statesmen Texas Social Media Awards. Finally something else I can touch myself to on the internet. 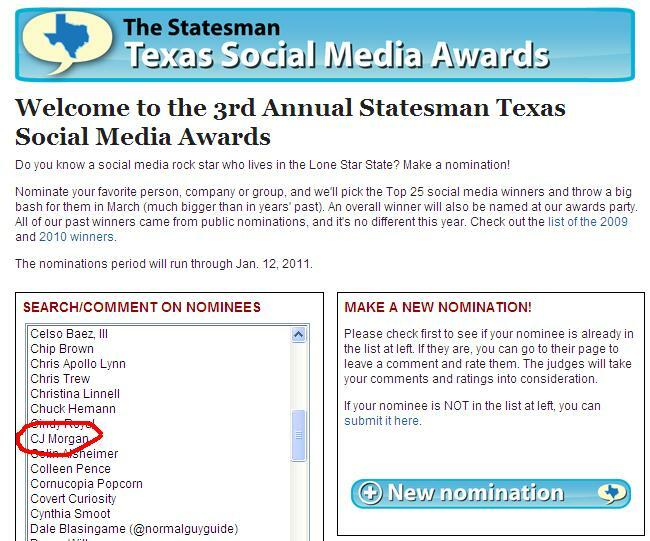 Check out my nomination and please, leave a comment here: http://www.statesman.com/marketing/texas-social-media-awards-nomination-1052437.html?NomID=249. Who won Best Radio Personality in Austin?